Patrick Colin Stokes | Littler Mendelson P.C. Patrick Colin Stokes is a labor, employment and healthcare attorney with in-depth knowledge of California and United States laws and regulations affecting employers and healthcare providers. He has ten years' experience in employment law, with emphasis on counseling employers in critical decision making and defense of employee claims, as well as eight years' experience in general healthcare law, ranging from development of policies and procedures to defense of medical malpractice claims. He was formerly an associate attorney in a law firm serving the healthcare industry. Patrick provided commercial, employment, regulatory, compliance and licensing services to healthcare providers of all types and sizes, including private facilities, federally-funded health centers and county health centers. His background has provided him with a strong understanding of laws and regulations affecting employers, including FEHA, Title VII, ADA, ADEA, FMLA, FLSA, WARN, NLRA, OSHA, and ERISA. He has deep knowledge of laws and regulations affecting the healthcare industry, including professional liability, credentialing, licensing, MICRA, HIPAA, CMIA, HITECH, Stark, Anti-Kickback, False Claims Act, FSHCAA, FTCA and CTCA. Patrick has counseled healthcare providers and other employers in practices, policies, procedures, decision making, risk management and defense of employee claims. He has successfully defended hundreds of medical malpractice and employment claims. 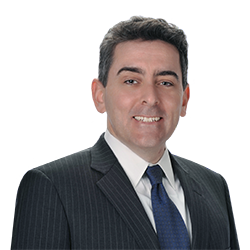 Patrick also served as an associate attorney in a general litigation firm where he represented plaintiffs in employment, labor, contract, product liability and personal injury claims. His practice focused on representing individuals and groups of employees in wage and hour, discrimination, harassment and wrongful termination claims. Patrick also serves as a California liaison for Littler’s Workplace Policy Institute (WPI). He focuses on California state and local legislative and regulatory developments in employment and labor law, as well as municipal ordinances and regulation in the workplace. He advises clients on understanding legislation before it becomes law and helps them prepare their policies and practices for compliance. Previously, he interned at the San Jose branch of the U.S. Equal Employment Opportunity Commission.